In order to have your agency listed in our Partner Directory, you must have either an Agency Free, Agency Basic or Agency Business account (To sign up, click here. Select "Agency Account" on the second screen). Fill out the form below so that we have all of the necessary information for your listing. 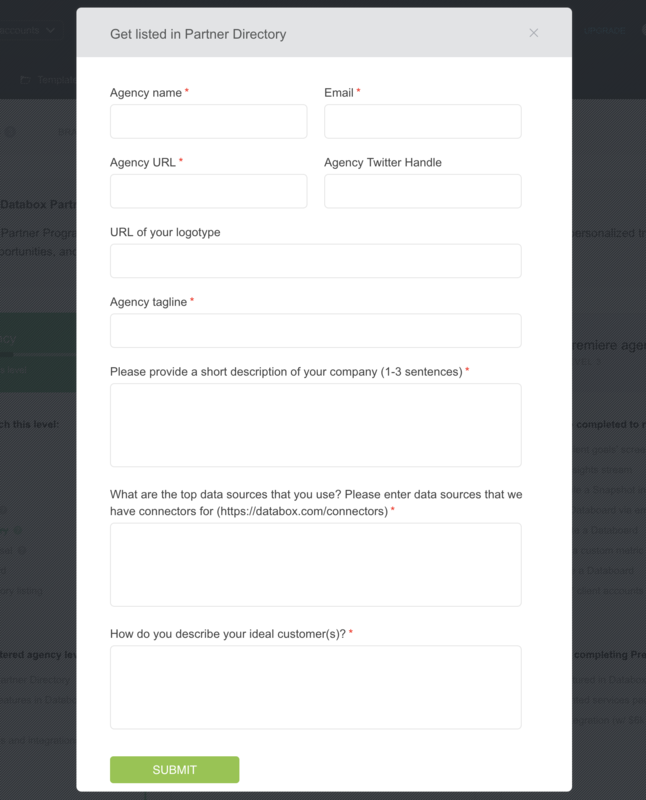 We will notify you when your agency page is live. To access the Databox Partner Form, please login into your Databox account and click here. You will be listed as a regular partner. You can learn more about the criteria for different partner levels (partner vs. certified partner vs. premier partner) here.